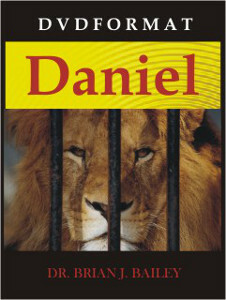 Dr. Bailey’s DVD series on the Book of Daniel offers an insightful analysis of this precious book, showing us what will happen to a people, a nation, or an individual who honors the Lord. All who choose wisdom, purity of heart, and righteousness shall prosper and be eventually honored by the Lord. Throughout this series you will experience the excitement of discovery as Dr. Bailey clearly unfolds the hidden mysteries of the present and future events in Europe and the Middle East. As he walks us progressively through the book of Daniel, he skillfully provides valuable keys that unlock the treasury of truths contained therein.